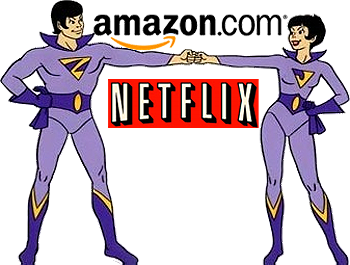 It looks like Amazon.com is going to be a competitor against Netflix in streaming movies. This will basically be the only competitor to Netflix in the regard. Yes there are others that do this, but Netflix has the best service, selection, and cost for what you get. Amazon aims to get their serives into PC’s, video game consoles, televisions, blu ray players, and mobile devices. 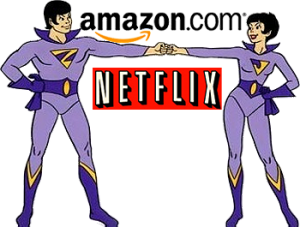 Oddly enough, the Netflix movie servers are currently leased from none other than Amazon.com. Read the entire article HERE courtesy of the Wall Street Journal. This entry was posted on Thursday, September 2nd, 2010 at 11:54 am	and is filed under News. You can follow any responses to this entry through the RSS 2.0 feed. You can leave a response, or trackback from your own site.